Sanará is centrally located to some of the tastiest Mexican and International cuisine in Tulum. Artisans of individuality have created a variety of venues, unique in their own right. We highly recommend our guest explore and experience the taste of Tulum. In no particular order please see a list of our favorites. A map of restaurants is also available upon request at the front desk. La Zebra- Positioned directly to the right of Sanara, La Zebra is the perfect mix of Mexican infused dining. Providing live DJs and Salsa dance class on Sundays the La Zebra restaurant offers a selection of traditional Mexican breakfast, lunch, and dinner plates. Casa Banana- Located just a stone’s throw away from Sanara Tulum, Casa Banana is lovely little eatery located on the jungle side of Tulum’s beach road. Offering breakfast, lunch, and dinner Casa Banana is the perfect spot for a late brunch or dinner. Puro Corazon- Overlooking the turquoise sea. Located directly across the highly recognizable Mateos. Puro Corazon is known for it’s authentic and relaxed ambiance. The serene yet vibrant restaurant offers a selection of infused and traditional Mexican plates. Restaurare- Inspired by the philosophy of restoring the spirit. Restaurare is a Vegan oasis tucked away off the beach road adjacent the bar Tábano. The meatless menu, offers a delectable taste of traditional Mexican dishes. While the no-frills yet charming esthetic compliments the dedicated whole-hearted staff. Zamas-Home to the celebrated Chef Gerardo Molina Cruz, Zamas Restaurant is a destination for those seeking Mayan and Mexican dining. Specializing in fish plates such as groper, lobster and snapper. The Zamas wood burning oven also features thin crust pizza pies and charred pepper salsas. Mezzanine- Located on the public side of the beach road of Tulum, Mezzanine hotel & restaurant is home to one of the best views in town. Offering a unique mix of Mexican infused dishes alongside delicious plates of Tai food. The restaurant offers a happy hour from 1-4 PM and their fish tacos are not to be missed. Posada Margarita- The intimate open-walled Italian restaurant, serves a classic selection of pastas alongside a daily catch. Creating a fresh menu daily. Each meal is served with an anti pasta platter that includes; bruschetta, focaccia, and cauliflower. The wine list includes a selection of chianti and South American offerings. Please note, Posada Margarita does not accept reservations, walk-ins only. Gitano- The renowned Tapas Restaurant and Mezcal bar opened just last year. Gitano by it’s Spanish definition means gypsy, and the space embodies just that. Featuring s a wild esthetic of nature, a romantically light lounge, and complete with a Mayan inscented aroma. The chillingly infused Mezcal cocktails are dressed to perfection and the best on the beach. Attracting both locals and tourist alike, Gitano is the place to be when the clock strikes midnight. Ahau- A destination for breakfast, lunch, and dinner. The Ahau restaurant is a place where rustic living meets high style. The Latin American cuisine is favorited by tourist and locals alike. Showcasing a seaside grill, fresh salads, and hearty sandwiches. Favorited by both local and tourist alike, Ahou is known for great music and a beautiful crowd. Villa Pescadores- Freshly opened early last year, Villa Pescadores is positioned just before the road that leads to the Tulum Ruins. The youthful and relaxed environment sits in view of Tulum’s finest fisherman. The large offering of small plates and cocktails, is the ideal location for casual play. More often than not, live music and dancing is had at sunset. Hartwood - The highly celebrated Heartwood is favored internationally. Tourist flock from all over the world to taste the unique dishes prepared by Chef Eric Weiner. Inspired by the savory fruit and and protein options found only in the Yucatan. Hartwood’s specialty is good food, and the flavor in every last bite. Run completely on solar energy power, the no-frills kitchen prepares most of its plates over a wooded fire. Hartwood does not accept reservations in advance, in-order to score yourself a table one must physically schedule a table between the hours of 3-6PM. Of the saturated plethora of decorative table top reads, magazines and online publications alike, Drift Magazine is the seed and soul. Making their printed debut earlier this year, Sanará Tulum recently had the pleasure of hosting the seasoned talents of Editor In Chief Adam Goldberg, and Creative Director Daniela Velasco of Drift Magazine. The freshly percolated publication is dedicated to coffee, it’s creators, and more importantly black gold lovers all-around. A memento imbued manifestation of Goldberg & Velasco’s urban obsession with coffee and it’s existence, Drift Magazine is created for the city chic and street dwelling individual. Simultaneously drawing attention to each unique and personalized experience, Goldberg & Velasco’s trained eye beautifully captures every last vital sip. With it’s current publication on stands now, take a glimpse into Drift’s undeniably captivating photographs below. Cynthia Conran for Sanara Tulum was conceived with one intention in mind. To get women from all walks of life, appropriately attired, to any & everywhere. Mission accomplished. Former fashion model Cynthia Conran has unveiled her first collection at Sanara Tulum. 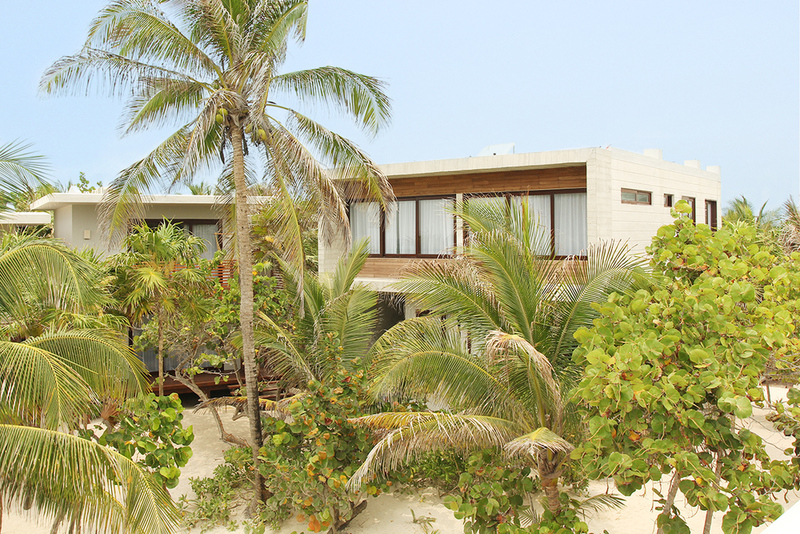 Located on the pristine beaches of Tulum, Mexico, Sanara is a luxury boutique hotel dedicated to health and wellness. Combined with the hotel’s philosophy for sustainable living, Conran has developed a universal collection of dresses set to transform into the realm of functional womenswear with undeniable sparkle. Hecho en Mexico, the Cynthia Conran for Sanara designs are inspired by and created for the chic and inimitable inhabitants of it’s birthplace. The multi functional ‘flow dresses’ are simultaneously contemporary and elegant. A palette of breezy natural colors and indigo blues are showcased on luxury sand washed and jersey silks imported from all over the world. Comprised of clean and refined outlines, the premiere collection features an array of delicate cashmere knit kimonchos and bamboo silk fluid dresses. Ethereal, floor sweeping hems are fused with immaculately hand beaded stones sourced locally throughout North America. Providing a unanimously wearable collection, Cynthia Conran’s unique design talents have also been tapped to produce the hotels luxury bamboo terry bathrobes & hand woven throw blankets.